While staying in Poland with friends they suggested, we take the kids to Dream Park Ochaby, Poland. Having never heard of it and after days of the kids whining about going to castles and shopping, we readily agreed! Hoping this would be fun for them (and give us a reprieve for a few days) we headed off. Dream Park Ochaby is located in the South of Poland in the area of Skozrow, Cieszyn, Astron. Ochaby Dream Park is a medium-sized theme park for younger kids, there are no fancy rides or roller coasters. 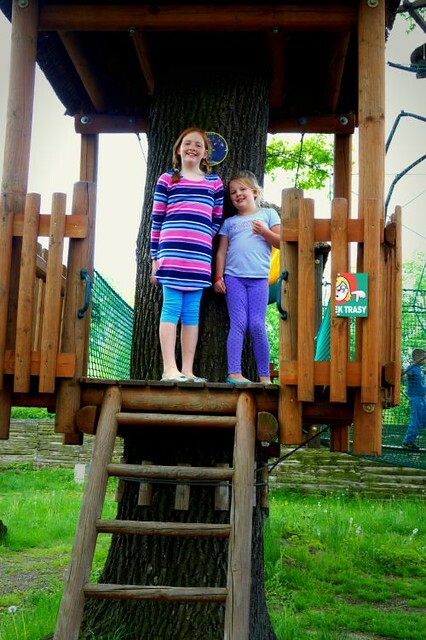 This park relies on more basic but just as interesting attractions that can be both fun and educational for the kids. The park starts out with a world of miniatures. Literally miniatures of famous, building from all around our planet and some of which many travellers have visited. There is Big Ben, The Terracotta Warriors, Sydney Harbour Bridge, Notre Dam Cathedral and The Sphinx just to name a few. It’s always a thrill to Australia featured. Our girls Willow and Marley loved the miniatures. They ran around Ochaby park saying we have been there or we are going there, it was great to see them so excited. For us, it is fantastic to see the kids excited about travel, places they have been, places they are going and most importantly where they want to go! I love it and hopefully, it means I have passed on the wanderlust gene to my daughters. Well, I am sure the oldest one has it but the jury is still out on the youngest! The dinosaur replica display at Dream Park Ochaby was brilliant and our oldest daughter Willow loves dinosaurs so she was especially interested. She had dreams of being a palaeontologist. 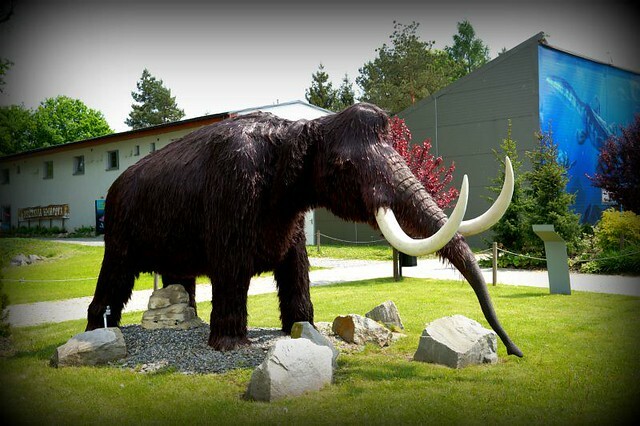 Park Ochaby have created full-size replica’s of the creatures long since gone. A few of them are motion detected so when you walked past they would move their heads and make the sounds they would have made. (Well I am guessing! Does anyone really know what dinosaurs sounded like?!) . The largest dinosaur the brachiosaur measures over 8 meters. The brachiosaur is one only of nearly a dozen dinosaurs on display. There is a large 3D simulated aquarium that you can walk through that show water based creatures from the dinosaur age. The 3D is a nice touch and makes these prehistoric swimmers look all that much closer to you. Water noise and atmospheric music add to the feeling of being close to these ancient animals. There is also a small 6D cinema that shows either a kids movie or a horror movie. We opted for the family friendly movie which was about mice racing cars through as house. It was fantastic! The seats moved, the wind was blowing in our hair and rain was felt on our faces with the movie making it more realistic and the kids loved it. It was very high up and Willow was completely convinced she was brave enough to have a go! She got harnessed up and climbed to the starting spot on top of a very large tree. Like a Deer in the headlights, Willow froze and no amount of encouragement was going to work. She then looked down and decided this is not for me and climbed down! We were really impressed and she was brave to give it a go. Marley, on the other hand, was so disappointed that she could not go on it. I must say the little one is crazy she would have certainly taken it on given the chance. The high wire course is a combination of ropes ladders, flying foxes and obstacles that you have to navigate before ending up back on the ground. The actual height ranges between 6 and 8 meters. I can tell you when you are up there it seems way higher! It’s probably suited much more to teenager or adults as it’s pretty high off the ground in places and a leap of faith is needed for the flying foxes. It’s probably suited much more to teenager or adults as it’s pretty high off the ground in places and a leap of faith is needed for the flying foxes. There are a small flying fox and net walk for the little kids which Marley really enjoyed. She loves a flying fox and always screams and squeals with joy whenever she goes on them. She is a real thrill seeker and was quite upset that she was too small to go in the rope course! Good on Ochaby Dream Park for creating a course for the smaller kids. You must be over 140cm in height. You should have seen her at Europa Park but that’s a whole other post. The upside down house at Dream Park Ochaby is a major hit with all adults and kids. It’s a full-scale house built upside down and it is fantastic. You can walk inside it and even inside everything is upside down, the chairs, tables and the kids thought the beds on the roof were hilarious. It’s a real piece of the park and an eye opener, you just can’t help staring at it. The kids thought it was hilarious and Marley could not wait to get inside. It’s on an angle inside and slopes away down one side. It is a double story, so it’s a complete house! Amazing! New to Park Ochaby is The Exhibition of Wild Cats, Lemurs and Tropical animals. Come along and see their Liger. The liger is a hybrid cross between a male lion and a female tiger. We spent a whole afternoon at Dream Park Ochaby and the kids loved it. There is a restaurant on site, serving the usual fare of burgers, chips, hot dogs etc. Ochaby Park has their own version of a happy meal. The kids got a toy dinosaur with it. Marley loved it and is still playing with now weeks late. We recommend a visit if you are in Southern Poland and we think everyone should go to Southern Poland! It is a beautiful part of the world. The miniatures look great, perfect for travelling families and kids to recognise them. Willow was very brave to attempt the high ropes course, maybe when her sister is big enough they can do that sort of thing together for moral support?! 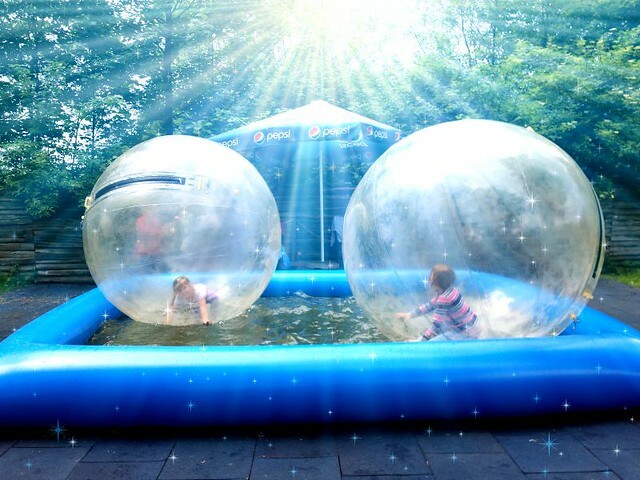 The zorbing looks cool, I really need to try that one day! If we’re ever in Southern Poland I’ll remember to visit! That sounds like an amazing place full of fascinating things to see and do as well as fun! Poland seems to off many people’s radar as a destination. Its been very much on our radar its cheap and beautiful.